MusicCast MusicCast makes it easy to bring music to every room in your home wirelessly with playback controlled by a simple app. Start with a MusicCast TV Speaker Base then add a MusicCast capable AV receiver in your main entertainment room for the ultimate home theater experience, next add MusicCast Wireless Speakers or Hi-Fi components in other rooms wirelessly. 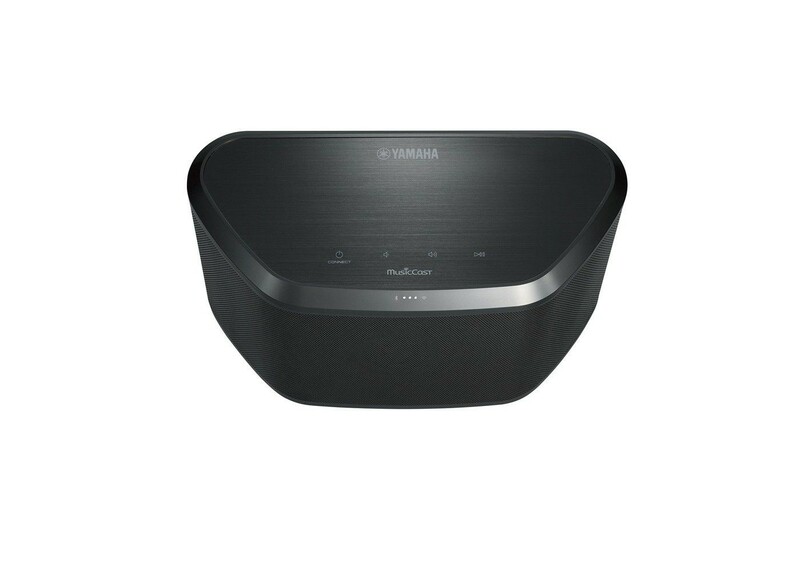 Exceptional Sound Clarity and Deep, Rich Bass The MusicCast wireless speaker provides exceptional sound clarity thanks to the two-way speaker design coupled with a large passive radiator that enables deep, rich bass to be produced from such a compact unit. The onboard music enhancer smooths out the stretched-out highs and muddled mids associated with over-compressed MP3 files. High-quality formats such as WAV, FLAC and ALAC are also fully supported. All Your Content MusicCast allows you to access your digital music library, streaming music services, Internet radio and Bluetooth sources. Bluetooth Music Streaming Stream music directly from your smartphone or tablet via Bluetooth or AirPlay. Use the MusicCast app to pause/play and adjust the volume from your handheld device. Bluetooth Output for Convenient Music Streaming Equipped with Bluetooth technology, you can stream music from the MusicCast wireless speaker to Bluetooth enabled headphones for private listening or any other compatible speaker. Stereo Pairing Using Two Units Two WX-030 units can be paired via the MusicCast app to function as left and right channel speakers, providing stereo sound for a wider listening area. Control at Your Fingertips The free MusicCast app puts control of your wireless speaker in the palm of your hand. Use the MusicCast app to operate the speaker and change settings, select your source and control music playback. Clean Design The compact and clean design of the MusicCast Wireless Speaker makes it perfect for use in the kitchen, bedside or anywhere space is limited. You can even mount it on a wall with commercially available speaker mounts using the integrated 1/4"-20 threaded mounting hole.